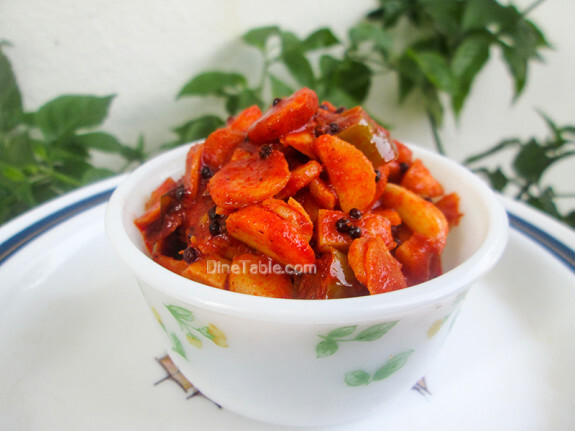 Manga Inji Achar / Mango Ginger Pickle is a super tasty and simple pickle. 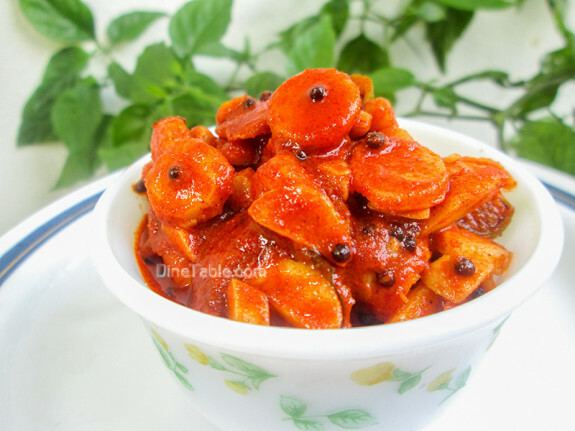 It is a traditional pickle recipe which is very easy to make and goes well with Curd Rice. Mango Ginger or Manga Inji belongs to the ginger family. It looks like ginger but smells like raw mango. 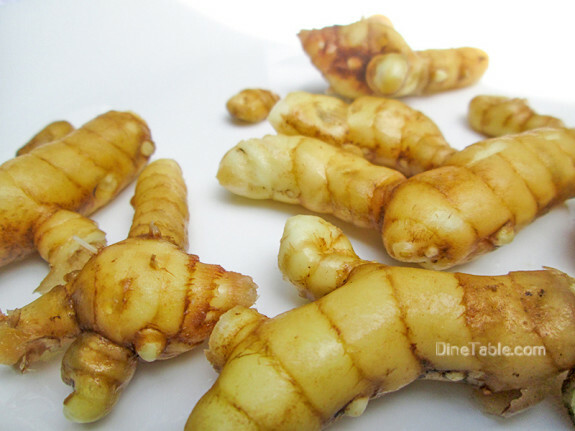 Mango Ginger is a spice crop which has the goodness of both Mango and Ginger. Mango ginger has excellent medicinal properties and is very good for digestion. Wash, peel and chop the mango ginger into small pieces. 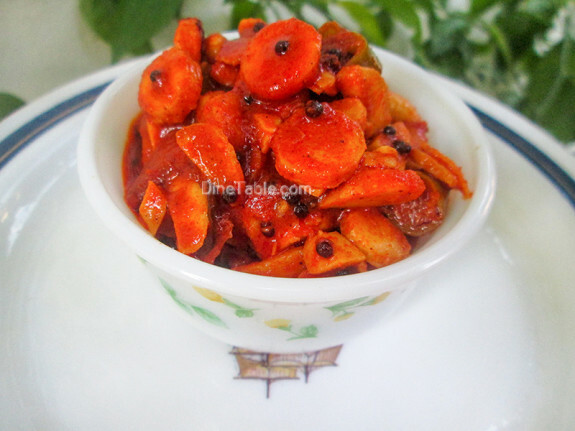 Heat oil in a pan and fry the chopped mango ginger for 3 minutes. Drain and keep it aside. Heat the same oil and splutter mustard seeds. Then add chopped garlic, green chilly, ginger and curry leaves into it and saute for 3 minutes. 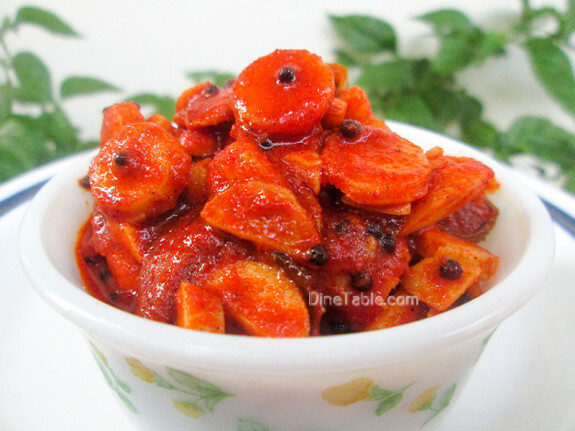 Then add red chilly powder, asafoetida powder and fenugreek powder into it and fry for a minute. 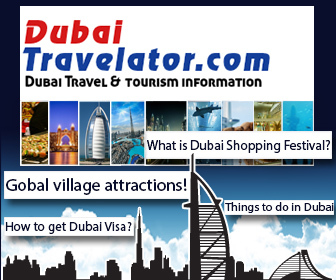 Add mango ginger, vinegar and salt into it and saute for another 3 minutes on a low flame. 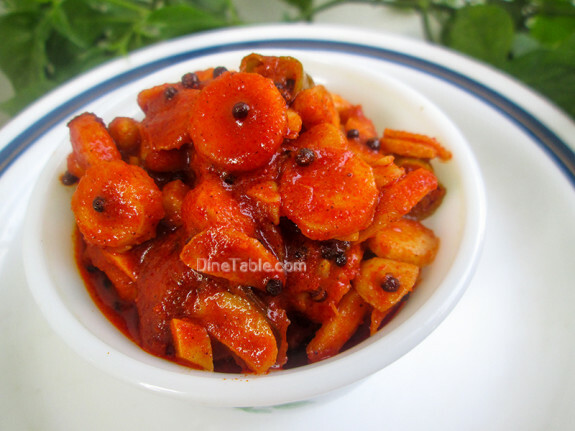 Tasty Manga Inji Achar is ready.